Product prices and availability are accurate as of 2019-04-19 02:59:31 UTC and are subject to change. Any price and availability information displayed on http://www.amazon.com/ at the time of purchase will apply to the purchase of this product. Shadows & Light: Theory, Research, and Practice in Transpersonal Psychology is a groundbreaking 2-volume series updating many essential topics in transpersonal psychology. It builds upon traditional topics to cover vital contemporary transpersonal psychological issues ranging from mindfulness and spirituality through social justice and sexuality. The range of contributors is broad, diverse, and inclusive and will bring the reader on many inward and outward journeys of human growth and potential. Volume I is written is a traditional educational style with additional chapters covering cross cultural psychology, ecopsychology, finding one's voice, the evidence based foundation of transpersonal practice, ritual, and much more. 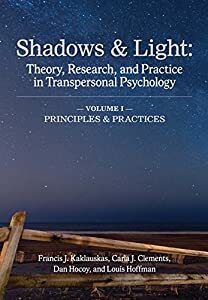 This volume includes chapters by established leaders such as Stanley Krippner, John Davis, Dan Hocoy, Pat Luce and Robert Schmidt as well as fresh voices with new perspectives on transpersonal psychology. The chapters are readable and personal, yet well researched and scholarly. These volumes are destined to become seminal texts in the field.